For 26″ to 46″ flat panel displays. Supporting displays up to 46″ the SP746PU Pivoting Wall Mount provides pivoting functionality for the viewing angle adjustment when full articulation is not required. This user-friendly and easy to install mount delivers one touch side-to-side swivel and tilting functionality that is complemented by its lightweight construction and intuitive three-step installation process. Adding to its pivot functionality is the mounts clean aesthetic, contributed to by its cable management system that easily organizes and routes cables, focusing all the attention on the display. Designed and built-in the USA. Universal display adapters provide compatibility with up to a VESA® 400 x 400mm mounting hole pattern. 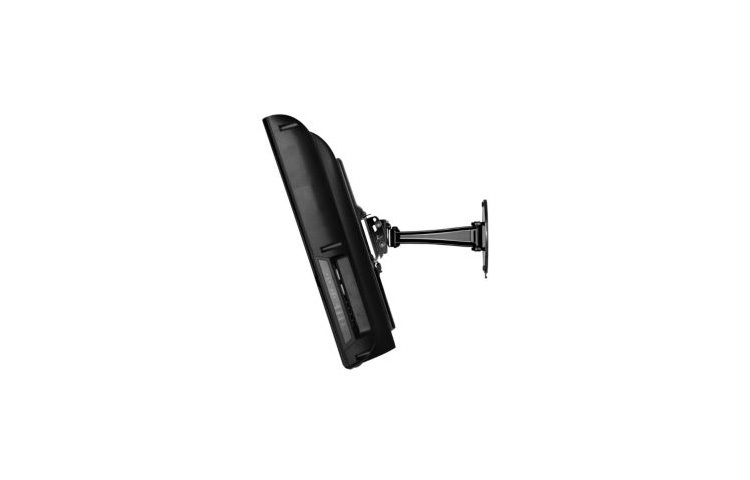 Arm extends up to 12.55″ (319mm) from wall. One-touch tilt allows adjustment of +15/-5° without the use of tools. Up to ±90° of side-to-side swivel. ±5° of roll to level display horizontally.